Matt is a modern circuit-rider, bringing a model of embodied and heartfelt worship to congregations across the country. Matt's services inspire congregants to a new relationship with each other and with our shared purpose of love and justice. The central task of the religious community is to unveil the bonds that bind each to all. Matt's worship leading offers a dynamic experience of music's enduring power to teach us about ourselves and each other. Engaging worship is about building the kind of Beloved Community we know is possible. This is worship that invites the mind as well as the heart to grow in love. In worship we come together not just to remind each other of the values that are most important to us, but to build the kind of community where we can help one another live those values every day of the week. Good worship is an imagining of the world-as-it-might-be, never as an escape, but as way to more fully engage with the world as it is. 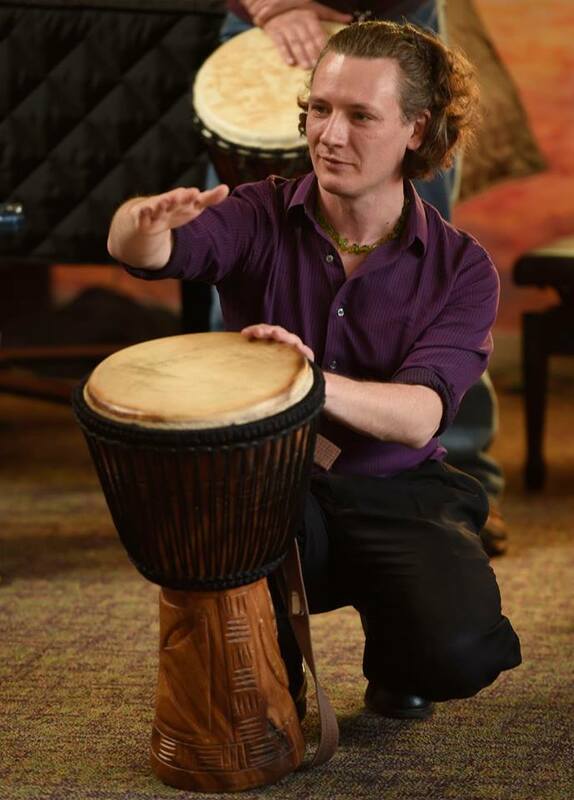 Matt’s drumming displays that unbeatable combination of rigorous training, talent, and genuine emotion. His playing for our services is always anticipated with delight and brings in large and enthusiastic crowds.